Bless Unleashed will offer players an open persistent world with integrated PvP and PvE content. Five classes will be available for players to choose from including your typical Mage and Berserker classes. Bless Unleashed is the primer next-generation MMORPG, coming first to XBOX. 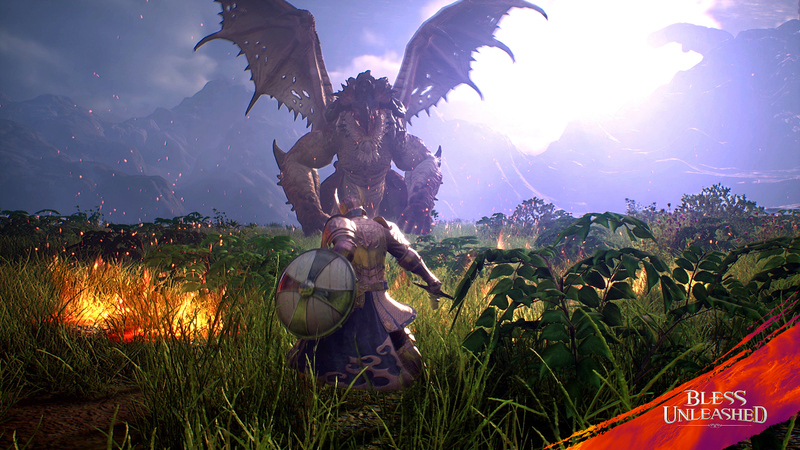 Built for mature audiences, Bless Unleashed takes players on an epic multiplayer journey across a vibrant persistent world, and tasks the brave with battling – and surviving –vicious, lethal monsters that inhabit this untamed landscape. The most visually stunning MMORPG for console. Unparalleled graphics made possible by Unreal 4. Deeply rewarding combo-driven gameplay mechanics and persistent progression book-end an experience handcrafted for online play. An open persistent world challenges players to survive a menagerie of mythical beasts… and each other. Integrated PVP provides danger at every turn. If you’re interested in taking part in the current beta test phase, you can sign up here. Bless Unleashed is slated to release sometime next year exclusively for Xbox One. The announcement trailer is below.